When it comes to getting the best performance and value, you’d be surprised how well retractable awnings do. You’ll be able to optimize your outdoor living space for family and social activities without worrying about harsh sunlight or drizzles, and get energy savings that will help cut down utility costs. Let Weather Armor show you how. Energy savings of 50-60% by reducing indoor energy use and reliance on indoor air conditioning. Energy savings in utility bills by cooling your indoor and outdoor temperatures by up to 20 degrees during the summer months. Energy savings by reducing heat gain and heat transfer into your home. Savings in costs compared to remodeling costs for permanent home improvement structures. 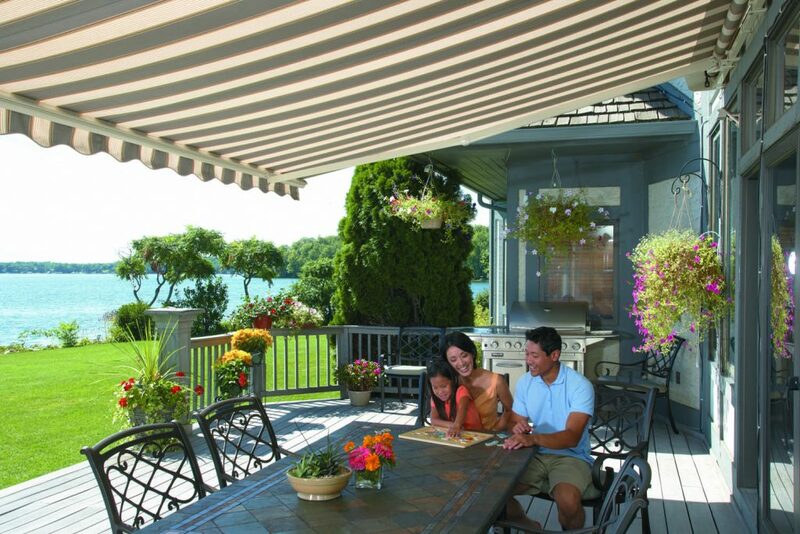 Weather Armor’s modern retractable awnings can let you control the amount of sunlight and heat coming into your home. You can actually reduce ambient temperatures by as much as 20 degrees under your retractable awning. Be it manually operated or motorized, your retractable awning can give you instant protection and shade against harsh sunlight and solar heat. And because your retractable awnings prevent the sun’s heat and harsh UV rays from penetrating through your windows and glass doors, you can actually keep your indoor temperature cooler, saving on air-conditioning use while you’re at it. As a new functional space, retractable awnings can provide a sheltered area for your family and social activities, as well as space where your children and pets can play. Weather Armor is one of the top-rated home improvement companies in Columbus, Ohio. We specialize in bringing trusted brands and the best products and services to our clients. We are an authorized retailer of the most popular retractable awnings manufacturers in North America like Eclipse Awnings Systems, Rolltec Awnings, and SunSetter Awnings, among others. Weather Armor is best known for its excellent customer service and professional installation expertise. It’s no surprise that we’ve gained a lot of success and business through recommendations and referrals from our past satisfied clients. You can be confident in the quality of the products and services you’ll find with Weather Armor, and the retractable awnings energy savings you’ll get.